North Americans waste 40 percent of the food they buy - it's like throwing away a bag full of groceries every week. Besides being a waste of money, this waste contributes to global warming. Cinda Chavich's Waste Not, Want Not Cookbook (Touchwood, 2015) offers over 140 recipes that will "show you how to shop, cook, and eat with zero waste. "; Discover how to be a savvy shopper, interpret "best-before"; dates, store your food so it lasts and turn leftovers into meals you actually want to eat. 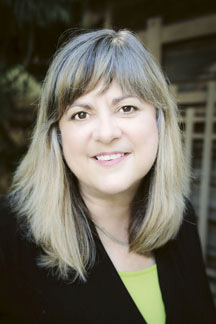 Cinda Chavich is a freelance journalist and photographer specializing in food. Her stories have been widely published, including Maclean's, Canadian Living, the Globe and Mail, Wine Spectator, Wine Access, Canadian Geographic and Chatelaine. She has written six cookbooks including the bestselling The Girl Can't Cook and The Guy Can't Cook. She lives in Victoria.